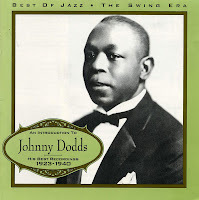 This CD features some less well known recordings by Dodds from 1926-27. Not all are top class performances, but three sessions make this release a must - buy for fans of classic jazz. First, the three performances by "Lil's Hot Shots" (in fact, Louis Armstrong's Hot Five moonlighting for Vocalion rather than Okeh). Second, the April 1927 Black Bottom Stompers session featuring Armstrong, Earl Hines and Roy Palmer. Armstrong was again operating extra-contractually, and the contrast between these restrained performances and the more florid renditions of the same tunes a month later by the Hot Seven is fascinating. Third, the October 1927 Black Bottom Stompers session features a Creole Jazz Band style two trumpet lead with the excellent George Mitchell (of Red Hot Peppers fame) and the more idiosyncratic Natty Dominique. 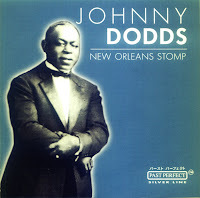 "Come On and Stomp, Stomp, Stomp" is the standout track, a wonderfully driving performance with Dodds in imperious form. Recording information: Chicago, IL (03/11/1926-10/08/1927). Personnel: Johnny Dodds (clarinet); Louis Armstrong (vocals, trumpet, cornet); Bud Scott (guitar, banjo); Johnny St. Cyr (banjo); Stump Evans (alto saxophone, baritone saxophone); Norval Morton, Barney Bigard (tenor saxophone); Natty Dominique (cornet); Roy Palmer, John Thomas , Fayette Williams, Kid Ory (trombone); Charlie Alexander , Lovie Austin & Her Blue Serenaders, Teddy Weatherford, Lil Armstrong, Earl Hines (piano); Jimmy Bertrand (drums, washboard); Baby Dodds (drums). 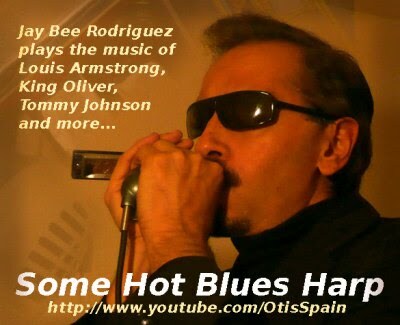 Hmm looks interesting heard Armstrong's Hot Fives but never this album, thanks for sharing.